A delightful semi-detached stone holiday cottage converted from Grade 2 listed buildings in the grounds of The Old Hall, overlooking the garden. 2 Old Hall Cottage built in stone with a pantile roof was the original stable block. As a listed building the horse stalls and tethering rail have been retained, as has the stone block floor though now clad in wood for your comfort! Ground floor: Dining room/kitchen with beams & wooden floor .Utility room. Separate toilet. 1 single bedroom. First floor: Living room with beams and wooden floor, 2 bedrooms: I double 5ft, 1 zip link 6ft can convert to twin beds both with beams. Bathroom with shower over bath and toilet. Electric woodburner in living room. Gas central heating, electricity, bed linen and towels all included. 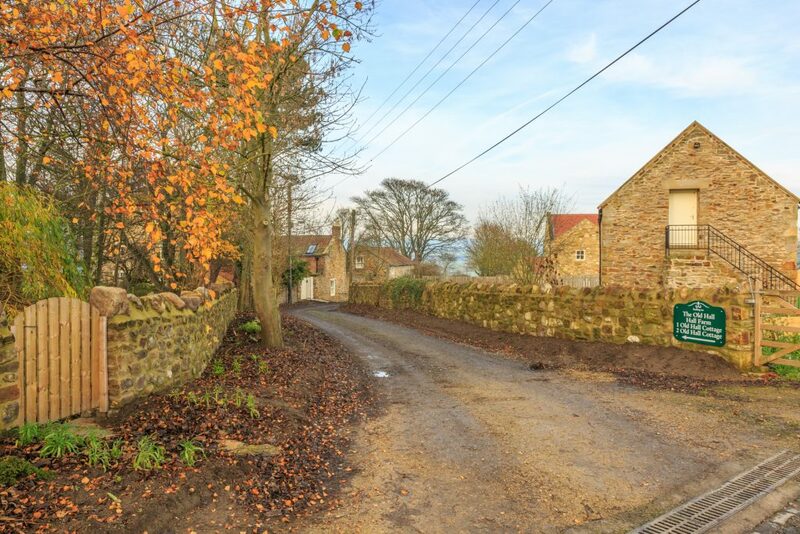 In a quiet village between Durham and Bishop Auckland, off an ancient lane leading to the River Wear, with no through traffic, this cottage provides a cosy and peaceful base from which to explore the beautiful Durham Dales – Weardale & Teesdale with their the historical splendour and industrial past. Keilder Water, Hadrian’s Wall ,the Northumberland coast and Lake District for longer days out. Country walks from your cottage door; or relax in private with garden views watching the grey squirrels and birds. You’re welcome in The Old Hall garden too – a work in progress, with it’s mature trees and expansive views changing through the seasons. No village shop,the nearest being Willington 2 miles. Thomas Wright House our village restaurant serves meals every day from 12 till 8, also breakfast by arrangement. This is where you collect your cottage keys. Enjoy a drink at Byers Green Club less than 5 minutes away – our local, with Live Bands the last Saturday of the month.